Donations can be dropped off at every Hillsboro fire station through Monday, Feb. 4. Hillsboro firefighters are asking for the public's help collecting canned goods and other non-perishable foods to help the less fortunate. Hillsboro Firefighter Random Acts, the charitable arm of the Hillsboro Fire Department, is collecting foods for the Sunshine Division after much of its stores were depleted over the past past several weeks. Firefighters are accepting foods donations through Monday, Feb. 4. Items can be dropped off at any Hillsboro fire station, according to Hillsboro Fire Department spokesman Bruce Montgomery. Firefighters are looking for dry rice, dry beans and canned tomato products in particular. During the partial government shutdown the Sunshine Division — operated by the Portland Police Bureau — donated much of its canned food to furloughed federal workers, Montgomery said. The shutdown left many federal employees without paychecks for more than a month. The Sunshine Division donated more than 250 boxes of food to Transportation Security Administration and Federal Aviation Administration workers. More than 5,000 pounds of food were donated to U.S. Coast Guard employees, according to the Sunshine Division. Montgomery said Sunshine Division's donations to furloughed workers came on top of its donations to needy families across the Portland area. The Sunshine Division serves more than 15,000 households with emergency food and clothing each year. 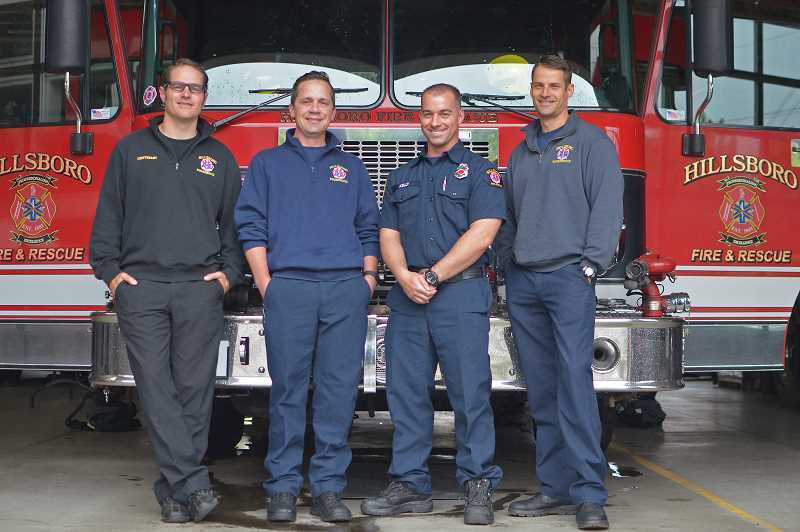 The donation to the Sunshine Division is the latest in a string of "random acts of kindness" Hillsboro firefighters have been planning. Like the Sunshine Division, Hillsboro Firefighter Random Acts have been providing help to the less fortunate across the city for years. The group donates toys to underprivileged children each Christmas and firefighters donate time to various good deeds around the city, from purchasing children's car seats for families, to doing yard work for residents with mobility issues. In 2017, firefighters helped rebuild the roof of a home damaged in a fire and paid for a child with a terminal illness to visit Spain.